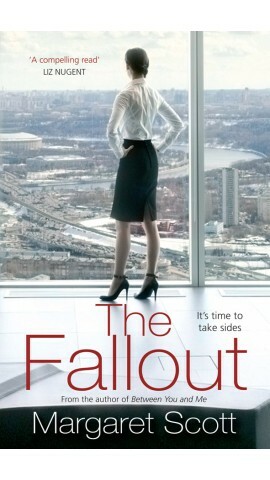 The Fallout is set in the fiction DKB Bank in the Dublin's International Financial Services Centre. It's 2011 and the country is still reeling from the banking crisis, when two letters arrive in the bank that will change the lives of the people who work there. Kate O Brien is just getting back to work after an extended Maternity Leave, leaving her two small children at home. Kate doesn't want any stress or drama, having enough of that at home with two children under the age of four, all she wants to do is go to work and do her job as best and as quietly as she can. Mary Lawlor has been working at DKB for longer than she cares to remember. Mary is sick of having to do everyone else's job while they are at home looking after sick children. She has had enough and she won't stand for the past repeating itself again. 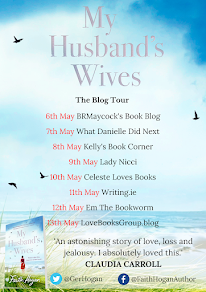 Leona Blake has had to take on a huge work load after her husband lost his job. Now her husband is at home all day with their seven year old daughter, while Leona has to work all the hours God sends in order to get them by. Olivia Sharpe walked out of her job the Friday before Kate started. After attending counselling, Olivia is starting to write things down, in an effort to take back control of her life. What happened to Olivia was wrong, but is anyone going to pay for what was done to her? The Fallout is told through the point of views of the many staff of DKB and their family members. Even though there are many books out there that are told from two or three different point of views, I have never read a book like this one before. I loved every page of it, Margaret Scott is a very talented story teller. The pages seemed to turn themselves. Each chapter was short and to the point and left me wanting more. I could easily have read this book cover to cover in a few short hours, but I am glad that I didn't and instead chose to savour the story. The characters in The Fallout were so well written, with some that I loved and others that I loved to hate. Each character was so well developed and had a back story that was discovered the further into the book I got. I loved that no one character had it all and that instead each character had their own cross to bear. It made them seem so much more real and it made it a lot easier to relate to each character. What I loved the most about this book is that it focused on ordinary people and how the recession affected them personally. As there is not one person in the country that hasn't been affected in some way by the recession, everyone will be able to relate to The Fallout. The Fallout also highlights the troubles that working women face in the modern day. This book is for every woman who tried to work while being a wife and mother. It shows how hard it can be to find the balance between working life and home life. The Fallout also hinted at issues such as post natal depression and dealt with the issue of reflux. Both of these are issues that many new mothers face and The Fallout shows how women are expected to leave their personal life at the door when they start work each morning, despite that fact that they may have been up all night with a screaming baby or that they don't feel themselves. I don't have any children of my own yet, but I did work in childcare for four years and I have seen first hand how hard parents feel leaving their children in a creche all day while they go out to work. I have seen the guilt that they feel at leaving their baby in someone else's care, while they miss out on huge milestones such as first words or first steps. This is why I was able to relate to these women so much. The Fallout is a real cracker of a story that will leave you on the edge of your seat and wanting more until you turn the very last page. It's a very different story to anything that I have ever read before and I loved that it showed what the recession was like from a bank's point of view. Margaret Scott is a very talented lady and I can't recommend this book enough.